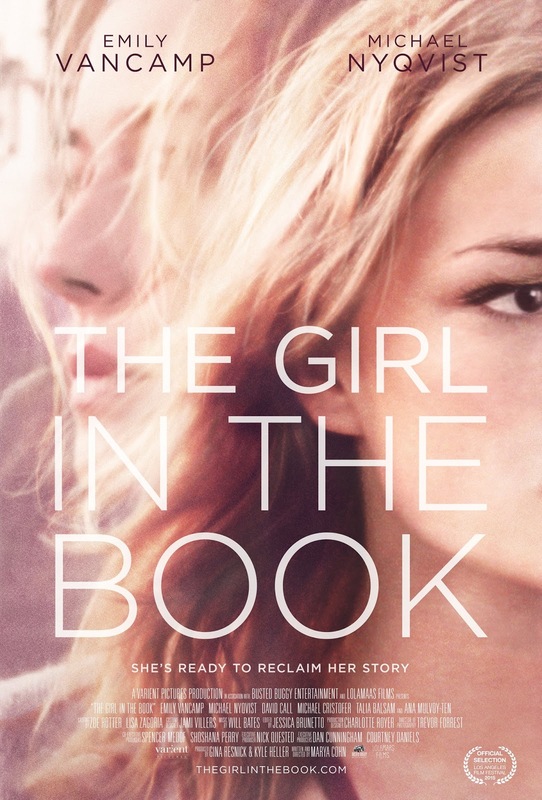 Alice Harvey (Emily VanCamp), the protagonist of The Girl in the Book, is a woman who is struggling to keep herself together and succeeding only by grasping at straws. At work, she edits novels with only the faintest hope of ever writing one of her own. When she is with her parents, her thoughts and words are ignored—her overbearing father decides what she will eat at the restaurant where they’re having dinner, along with how she will live her life. But when Alice is put in charge of the re-release of Waking Eyes, the bestselling novel by acclaimed writer Milan Daneker (Michael Nyqvist), her painful history with the author threatens to unmoor her completely. Waking Eyes details the life of a rebellious, enigmatic teenage girl who is based on Alice herself—and based on the inappropriate relationship Milan pushed her into as an adolescent, which her parents, who were Milan’s book agents at the time, refused to believe. Now Alice must deal with Milan’s return into her life as the careful world she’s built around herself threatens to crumble, and she must grapple with the lasting damage of being “the girl in the book,” and find her own voice—as a writer and as a survivor—that has been silenced for far too long. I recently caught the film, which was released quietly in 2015 on VOD and in theaters, on Netflix, and found the narrative incredibly moving. 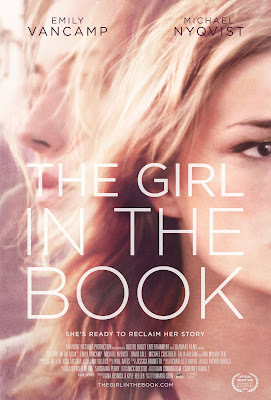 I reached out to Marya Cohn, the writer-director of The Girl in the Book, and interviewed her about the process of creating this intimate story. IOtA: Where did the story of The Girl in the Book come from? Marya Cohn: The story has a lot of personal experience in it. Something similar happened to me. Then, as I got older, more and more women told me similar stories. When I went to college, in my freshman dorm there were four of us, and three of us who’d had that as our first kind of sexual experience. So the prevalence of that really shook me, and made me feel like I had to write about it. […] It was important [for the movie] that I come up with a frame that deals with the damage that’s been done in the present so that you know about the possibility of recovering if you confront it. That, for me, was the biggest part—the part about not being believed is true, too, and for me, feeling like I didn’t own that story and that it had been taken away from me was the biggest part. And I do think that being believed and owning your story and being able to tell it is a way to recover from anything. IOtA: The ending scene where she confronts him—there was just so much catharsis; it was incredible. What was writing that scene like for you? MC: I’m glad. I didn’t actually have that in real life, but I put it in the movie, so that helped. IOtA: So you had the script—What was the process like, getting it from the page to screen? MC: Endless and difficult. It took about seven years and maybe five different producers, and it was just a long process[…] There were some producers interested, and I met with them […] but nobody ever really did anything or made anything happen. Then I went to a college reunion and a friend said, “oh, I know a woman producer in L.A. who’s really into supporting women,” and this producer said, “who cares how much money we get—we’re just going to make it on a smaller budget, and we’re just going to do it.” And she really made it happen[…] Michael was the first actor we went to and he just said “yes,” but casting Alice took awhile. And there I think my producer just ran into [Emily VanCamp’s] manager at a party, and then she really responded to the script. Emily VanCamp as Alice Harvey. IOtA: I was able to contact you through your Kickstarter and I noticed that that was something you partially used to get this film off the ground. What was your experience using Kickstarter? How do you feel about crowdfunding independent media in general? MC: We had private investors, and one of the investors wanted the experience of using Kickstarter, and so he actually guaranteed that the thing wouldn’t fail. I think that’s a great way to do it. I think if you have a very low budget it can work, and I’ve seen it work for people, but it’s incredibly hard to raise real amounts of money unless you’re Spike Lee, you know? IOtA: The editing is something I really noticed. The way the shots are matched as you jump from the present to the past and how it’s so seamlessly connected—that’s just a really beautiful technique. MC: Thank you—that was in the script! That was definitely written in the script. I don’t think you could have made it happen in post unless it’s been written in. There are a couple of times where it doesn’t work as seamlessly, and that’s because we had to cut scenes, and then it did have to be done in the editing room. It worked way better when we stuck to the script. IOtA: How did you decide to tell this story in the nonlinear way that you did? MC: I just really wanted to see her overcome her problems too, and I thought that the weaving back and forth would be a good way to tell it… I had a lot of people warn me that this was not a good way to tell the story—but it was the story I wanted to tell, so I had to do it […] I mean, I think for a lot of people, it’s hard to go between two different time frames because you feel like you get jumped out of one story—“oh great, I want that story back”—and I’ve seen a lot of movies where one story is way stronger than the other, and so I guess there was warning about it. My experience is, you have to tell what you have to tell. Ana Mulvoy-Ten as young Alice Harvey. IOtA: I was watching this film, and watching the Oscars around the same time, and reading the news, and as someone who’s on a college campus right now, I was wondering if you thought that this film was especially timely right now, now that Hollywood is not only talking about gender disparity, but also about abuse within the entertainment industry? MC: I do hope it’s timely in terms of the conversation, for sure, but I was just at a festival in Sedona and an eighty-year old woman came up to me afterwards crying and saying, “I was molested when I was eleven and I’ve never talked about it.” Sadly, I don’t think the issue is timely, but I think that maybe people’s willingness to deal with it is timely. That was kind of upsetting, and I knew that, but it was kind of upsetting. IOtA: Are you working on any new projects now that you can share anything about? MC: Yeah, I am—I have another very personal story that everyone’s telling me I shouldn’t make. But I’m also trying to maybe pick up projects from other people so that I’m not always working on my own stuff. I’m a slow writer, so that would limit my productivity a lot […] To make it any good, it takes a while. I would love to see what it’s like—if I got a screenwriting assignment where they tell me what I’m writing, but I haven’t gotten one yet. IOtA: I mean, if it’s for a movie, it’ll be a superhero movie, right? Those are everywhere. MC: Right, exactly. They don’t give women those, though. Starting out, you mostly get YA things offered to you. IOtA: Yeah, like Catherine Hardwicke in Twilight. IOtA: Yeah, it makes me think of directors like Colin Trevorrow, Gareth Edwards, and Josh Trank, who are getting these huge films after making one small film, but that just doesn’t happen with female directors. MC: Well, there’s a big movement now. I’m part of a group called Film Fatales that’s very active in supporting filmmakers and making that issue known and is working with the industry about changing Hollywood. I think it’s gonna happen, or may happen, although I was meeting with people in L.A., and I was talking to a woman who said, come and look around my office, see who has power. I just realized I was being paid two-thirds of the salary of the men around me—you think it’s gonna change?